Kielb argued that the limitation clause in his contract was contrary to public policy, had been inconsistently applied, and was ambiguous, contradictory and illegal. He further argued that the termination clause, which required him to sign a release in order to receive any notice compensation beyond the statutory minimums, was unenforceable. The Court found that the language in the limitation clause was, in fact, very harsh; similarly, the termination provision was characterized as draconian. However, this did not mean they were unenforceable. The limitation clause stated that the employee had no entitlement to a bonus until the day it was actually paid out, and when a termination or resignation fell before the date on which bonuses were to be paid, the employee would not be entitled to receive a bonus, or any portion thereof, for that year. In Kielb’s case, his bonus was a large factor in his decision to accept a position with Money Mart, as it provided for an additional 30-60% of his annual salary. When he was dismissed before the payout date for the company’s 2009/2010 bonus, he lost out on a bonus which would have been over $80,000. Despite this ruthless application of the limitation clause, the agreement and the clause itself were found to be enforceable. Kielb had had ample opportunity to seek independent legal advice before entering into the contract, he had already renegotiated many other terms of the contract, and, by his own admission, was aware of the negative implications of the clause. 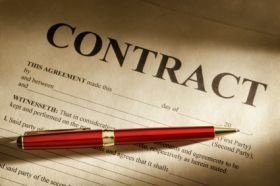 The Court found that it would be against public policy to allow someone who had entered into a contract based on its potential to be extremely lucrative, but fully aware of its less appealing terms, to then turn around and complain when the harsh terms were implemented. The fact that the bonus was found to be an integral part of Kielb’s compensation was insufficient to have this clause found unenforceable. The crucial factors are that, where a clause is particularly harsh to one party, it is important that that party was not in a vulnerable position, was not forced to accept the term, had opportunity to obtain independent legal advice, and understood what they were signing. In this case, each of these factors was satisfied. Unfortunately for Kielb, the Court further found that the clause was far from ambiguous; in fact, it was clear and unambiguous in its restrictiveness. Additionally, while another dismissed employee had received a bonus following her termination, this differentiation in treatment did not invalidate Kielb’s agreement. The Court noted that the other employee’s contract had been less restrictive, more vague, and she had not been in a position to obtain legal advice as Kielb had. More importantly, there is nothing preventing an employer from being more generous to one employee than another, as long as this is not done in bad faith or based on a protected ground of discrimination, as defined in the Human Rights Code. Finally, the termination provision requiring Kielb to sign a full and final release in order to receive contractual, rather than just statutory, pay in lieu of notice was also found to be enforceable. While it was “somewhat draconian in its application”, it was part of the agreement entered into with the full knowledge of the Plaintiff. He was therefore bound by its terms.